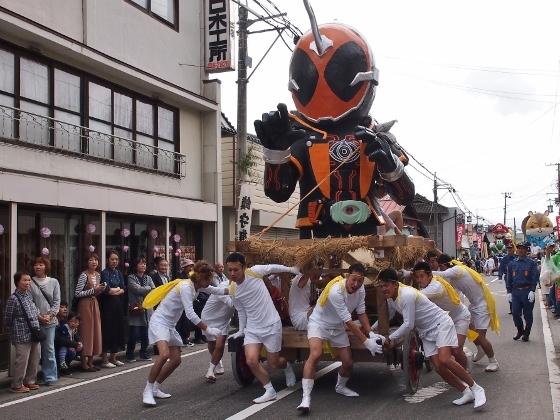 Today, Abaredashi Festival was held in the afternoon at a remote Towa district of Nihonmatsu City. 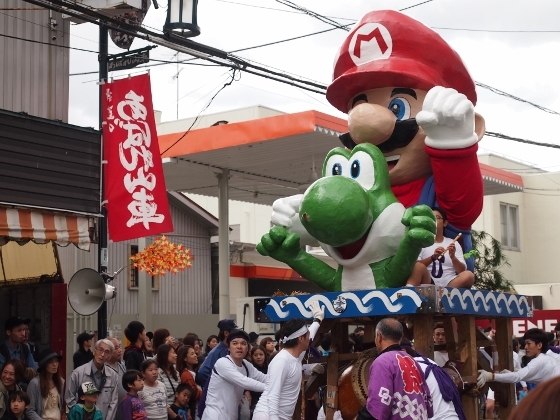 Large character floats are created for this year's event, one of which is shown above with Super Mario from a famous video game. 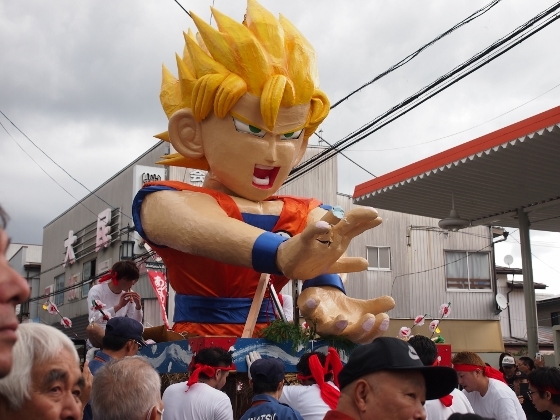 Seven such large floats are created each from famous manga (comic) or video game characters. 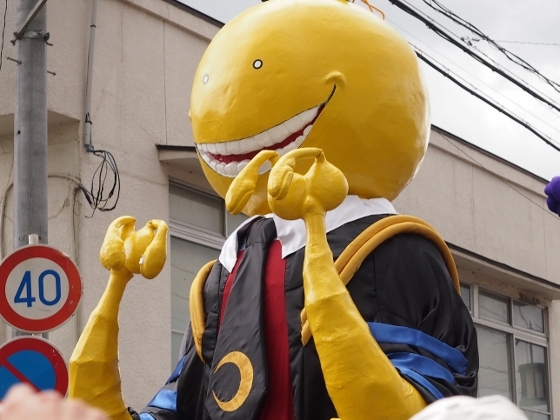 Those floats are moved into the main street of the district and are collided each other wildly. 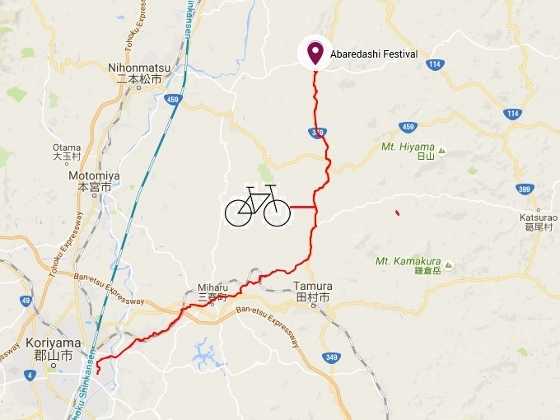 This collision performance lasts for two hours in the afternoon. 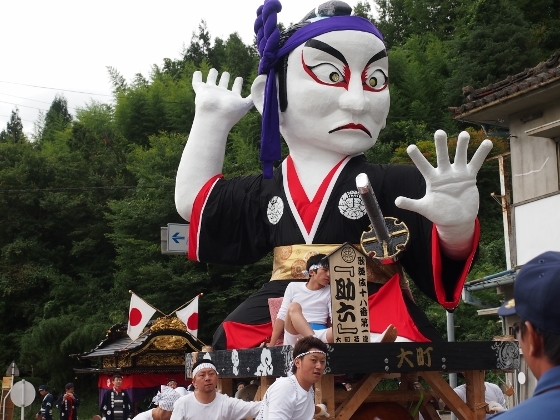 This historic festival started in late 16th century, and today it is held as an annual ritual of gratitude for autumn harvest at the local Suwa Shrine. Three of the short footages below show how the wild collision is performed with drum beats. 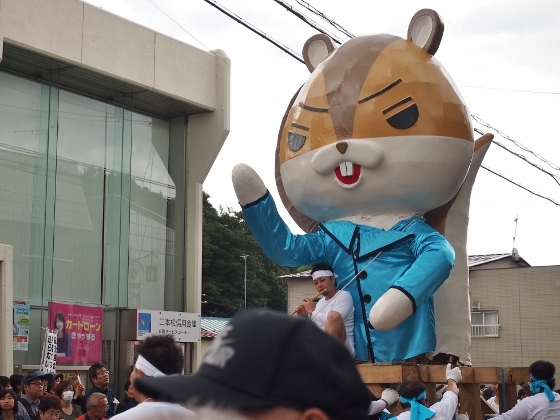 The street was heated up with repeated dｙnamic collisions and a crowd of spectators. 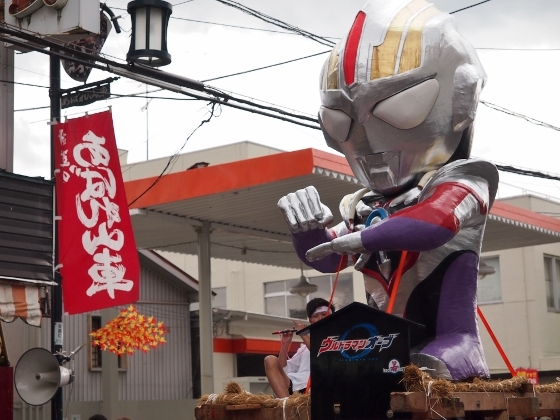 Other six designs of floats for this year are shown above.